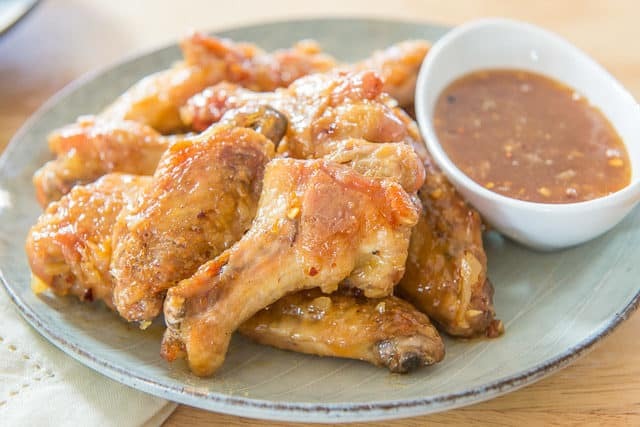 These Honey Garlic Chicken Wings are a delicious alternative to the classic spicy hot wing, with a buttery and sweet flavor, and lots of fresh garlic. 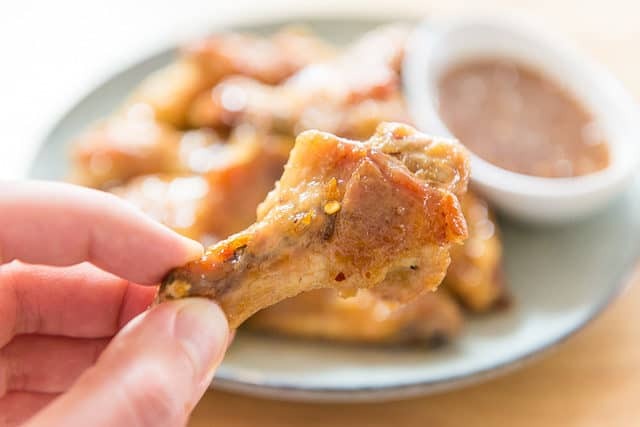 Definitely file these wings under the “finger licking good” category because you will want to lick this sauce off the wings and from your fingers. They’re so delicious! 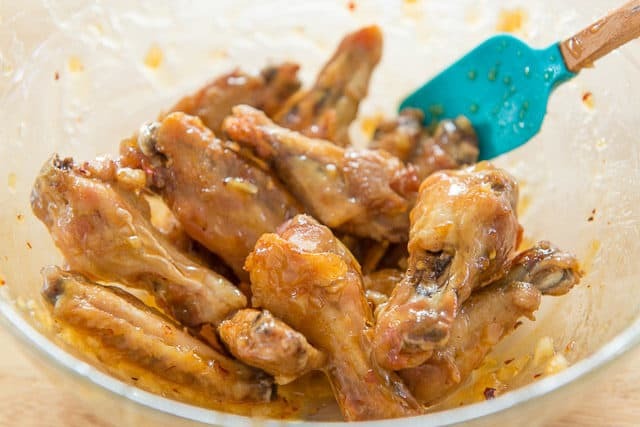 Even though the classic Buffalo Wing Sauce coated chicken wing will always be my #1, these honey garlic wings really give them a run for their money. 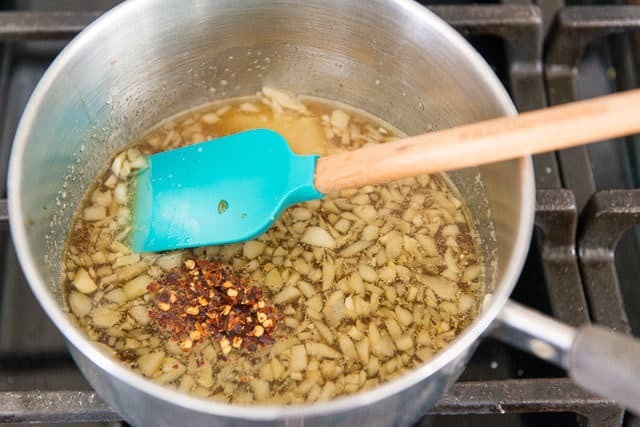 They hit all the flavor notes in a way that’s very different: sweet and floral from the honey, balanced by a little bit of acidity, rich melted butter, lots of garlic flavor (for my fellow garlic lovers out there), soy sauce for umami, and a hint of heat from red pepper flakes. Honey and chicken are classic flavor affinities, and that’s really evident here. 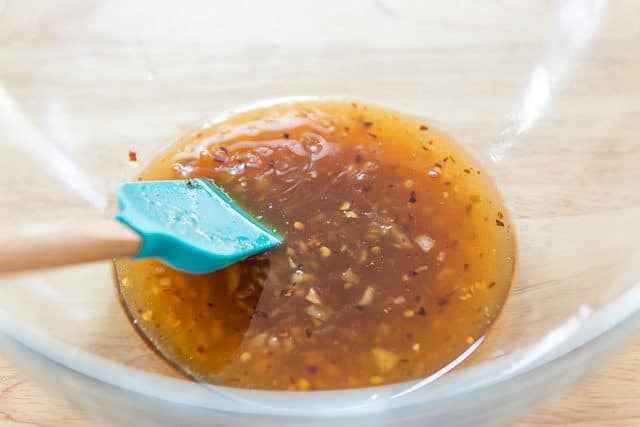 This sauce is also very quick and easy to make. It takes less than 10 minutes, and you can also make the sauce in advance if you’d like. Simply toss it with the chicken wings when they’re hot and ready, and serve. 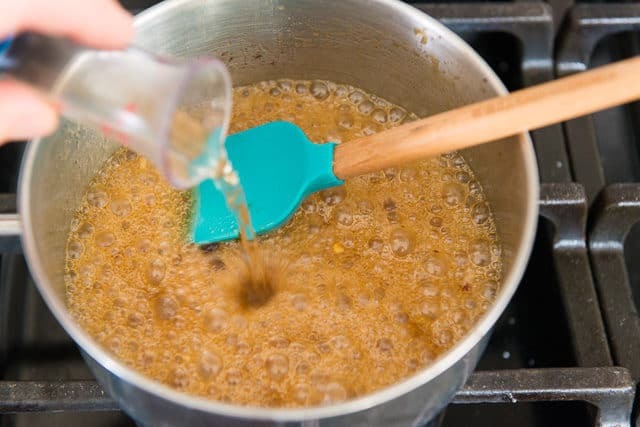 It is essential you use a high quality honey for this recipe. If it’s in a plastic bear-shaped bottle, it’s probably not ideal. It is astounding how inferior a low quality honey tastes to a high quality one, and since honey is a main flavor here, it’s worth the splurge. A little bit of spicy flavor plays off the sweetness of the honey. Next add white wine vinegar, which might sound strange initially, but the classic Frank’s hot sauce in the usual Buffalo Wing Sauce has a lot of vinegar in it. The vinegar is important for balancing the flavor and adding acidity. Pour the sauce into a big bowl, ready for coating the wings. 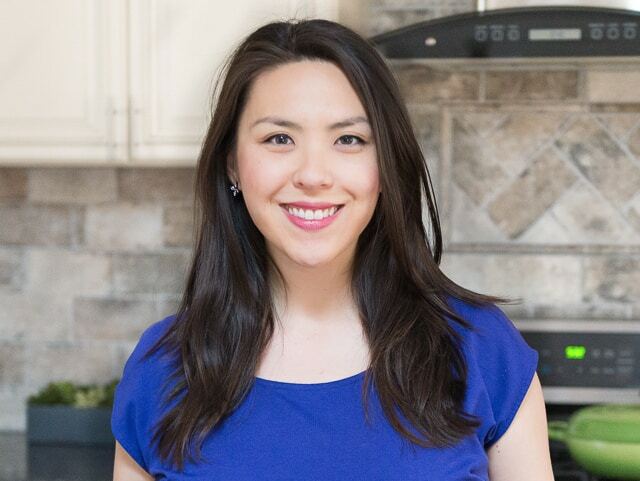 I prefer to use this method for Baked Chicken Wings, which is one of the most popular posts on my site. Thousands of people have made them and raved about how crispy they are, even though they’re not deep fried. Feel free to use deep fried wings though, if that’s your preference. Toss the wings into the sauce to coat. You want to do this right before serving, so they don’t get soggy. 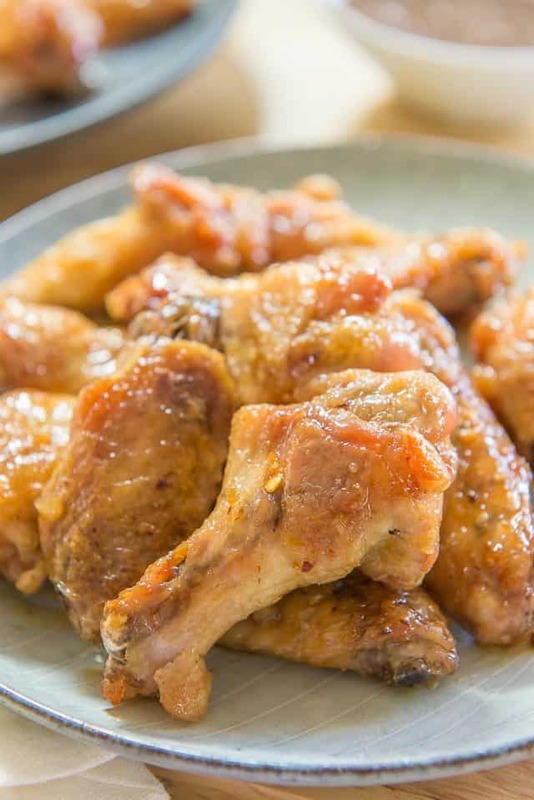 Korean Chicken Wings and Garlic Parmesan Wings are some of my other personal favorites, and just as easy as this recipe. 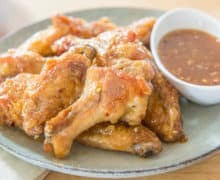 For a classic buffalo wing, use this Baked Chicken Wings method and toss it with a classic Buffalo Wing Sauce. Enjoy! 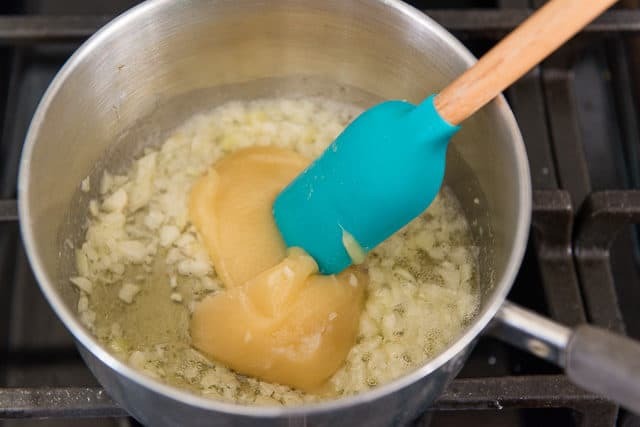 Melt the butter in a small saucepan over medium heat, then add the garlic. 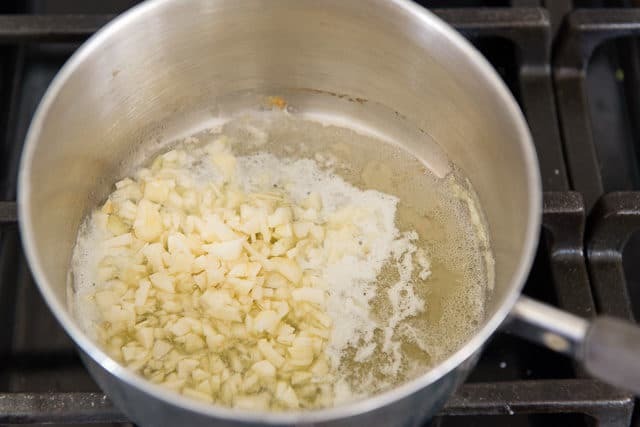 Cook for 1-2 minutes, until the garlic is aromatic and softens slightly. 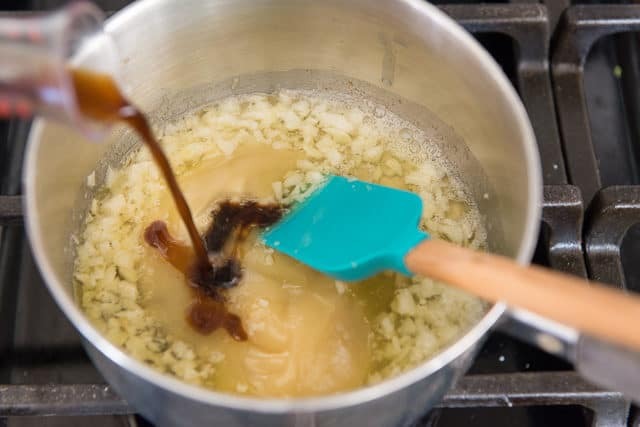 If the garlic starts to brown, turn the heat down. Add the honey, soy sauce, and chili flakes, and bring the heat up to medium high. Simmer for 3 minutes, until the sauce thickens slightly. Stir in the vinegar, then remove the sauce from the heat. Toss the baked chicken wings with the sauce, then serve immediately. Enjoy! You can make this sauce a day ahead if you prefer. Simple re-warm and toss with the wings when they're hot and ready.